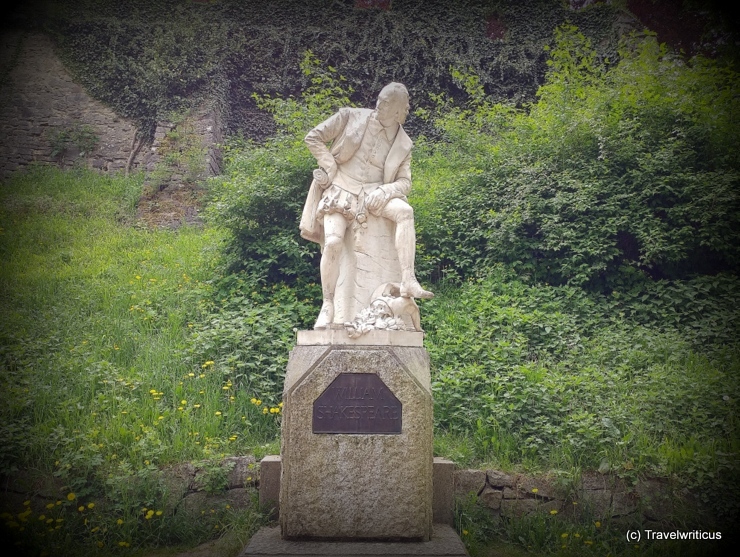 On my walk through the Ilm Park (Park an der Ilm), I come across this monument to William Shakespeare. What a surprise. I did know that Weimar is known for Goethe, Schiller, and Herder. What is the link to Shakespeare? In fact, Goethe played an important role in this question. This entry was posted in Monuments and tagged Germany, Thuringia, Weimar by Travelwriticus. Bookmark the permalink.